Did you find nasty surprises under the snow this spring? If your yard is a poop mine field, come see us. 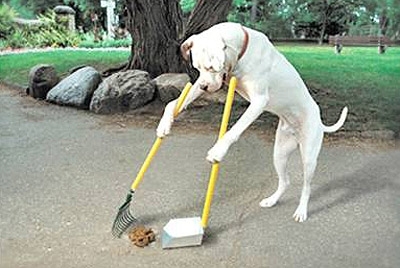 We have plenty of items to help you get the mess cleaned up, including poop scoops, poop bags, and grass saver biscuits.